Iran, March 19, 2019 - March 19 marks the last Tuesday of the Iranian calendar year. The new year will be officially celebrated at around 1 am Thursday, local time, marking the beginning of spring. On Tuesday afternoon and into the night, people across Iran were seen celebrating the annual Fire Festival, traditionally brushing out the old and welcoming the new. The Iranian regime tries every year to prevent the people from celebrating the Fire Festival, fearing that assemblies and celebrations will turn into protests. But despite heavy security presence and threats by regime officials, Iranian people across the country celebrated this national occasion. In Tehran, the country’s capital, reports indicate youths were celebrating with powerful hand-made sound grenades and large firecrackers. Authorities were on high alert in all areas, yet even their numbers weren’t able to prevent the youths’ measures. Regime officials are constantly warning about the ongoing protests resulting in yet another uprising episode similar to the December 2017/January 2018 scenario. In Meshginshahr of Ardabail Province, northwest Iran, youths began using firecrackers to voice their joy and protests against the mullahs’ regime. During the past week, security officials and reglious figures close to the regime’s Supreme Leader Ali Khamenei have been issuing calls, even fatwas, literally banning and describing such celebrations as haram, or a sin. People welcoming #Nowruz, the Iranian calendar new year, by marking the annual Fire Festival, celebrated on the last Tuesday of the calendar year. In Divandarreh, Kurdistan province in western Iran, state security police and plainclothes agents (associated to the Ministry of Intelligence and Security) attempted to prevent people from holding celebrations by maintaining a heavy presence in the streets and firing bird shots. Regime forces resorting to heavy gunfire (bird-shots) to disperse a crowd of youths celebrating the annual Fire Festival. Iranians consider their celebrations as another method of protesting the mullahs’ rule. This regime considers any expression of joy by the people as a potential threat. The mullahs’ lack of tolerance for such scenes speaks volumes of the very weak and unstable conditions of their ruling apparatus.  A correspondent of the “Iran NTV” television station, associated to the Iranian opposition group People’s Mojahedin Organization of Iran (PMOI/MEK), sent a report from the city of Izeh, southwest Iran, saying authorities took extensive measures, including many roadblocks, to check vehicles for hand-made sound grenades and prevent people from celebrating this national holiday.